Group Discussion Ideas > General GD Topics > Should Aadhaar be made mandatory? With the striking down of Section 57 of AADHAAR Act, Supreme Court has uplifted the AADHAAR requirement from various avenues while for some AADHAAR continues to be mandatory.This means of identification was initially introduced in the Indian Democratic System as an alternative scheme for providing subsidies to the poor. But due its biometric advantage, AADHAAR is the most authentic and it has gained importance in all spheres of life. True to its name it has become the foundation of business and official transactions. But despite its multiple advantages and potential to ease the complex procedures, people are unreceptive to the same. This has given rise to a round of arguments as to whether AADHAAR should be made mandatory or not. The process of compiling and filing and Income Tax Return is an exhausting process. But with the use of AADHAAR as a form of verification, not only the time required for verification has reduced but the authenticity has also increased on account of reduction in documentation. Getting a passport made is a long process. But due to AADHAAR, which serves as a proof of identity and address the entire process is speeded up as unnecessary delays in getting an appointment are reduced. Linking of AADHAAR with the pension account ensures that the pension amount reaches the recipient securely .It also reduces the hassle to physically visit the bank every time thus saving time and effort. Reduces the role of middlemen. With the advantage of AADHAAR, the new system ensures identification of beneficiaries to whom the subsidy is transferred directly without the hassle of it passing through the middlemen. Along with the ease in filing Income Tax Return, the linking of AADHAAR with PAN helps in keeping the detail of taxes attached with the AADHAAR number. Also it helps the Government keep a check on the multiple PAN cards issued in one name. Other benefits of AADHAAR include: Ease in opening a bank account; getting scholarship for students; Ease in getting LPG and other subsidies and many others on account of reduction in complexities. Due to inefficient hardware there have been various cases where the benefits of Public Distribution system have been denied to people in secluded areas due to failed biometric authentication. This renders the basic use of AADHAAR as unfruitful. The AADHAAR Act is framed poorly. The AADHAAR Act is framed in a haphazard manner and there are certain clauses in the Act which makes the Act less citizen friendly. Issues with biometric data collection. The biometric data collection system of UIDAI is unskilled. There have been failures on account of weak iris scans, dry hands and excessive labour. This poses a question on the authenticity of AADHAAR cards issued. AADHAAR is definitely beneficial in making identification easier and reducing the time and errors that were involved in paper authentication. But making it mandatory with the unstructured framework of the Act and the inefficient bio-metric systems may result in the negative consequences. Photo Credits: BMN Network via Flickr, under CC 2.0.
yeah. i think aadhar is mandatory but the rules behind creation of aadhar is not so good. we heard that finger print authentification failed. so two or more input data from public should be collected and linked with aadhar to avoid these kind of problems. For filing income tax it is very easy for government to access the defaulters. so for govt and public , aadhar is ver usefull. the only change we need is proper creation of rules for aadhar card which should nver fails. Yes! Not only rules but proper implementation is needed. The point under No “UIDAI has a conflicting responsibility.”. Does it refer to section 47 that Supreme court has asked to modified suitably to include grievances from individuals or something else is referred to ? Thanks for pointing it out Vijay. Yes, it does refer to section 47 of Aadhaar act. You are right that Supreme Court struck down some sections of aadhaar act including this section 47 in September 2018. We’ll correct it in the article. According to me Aadhar should y mandatory in all sectors like Bank , Income Tax , Telephone and all utilities , passport everywhere even people purchase ticket railway or Aadhar number should be mandatory .As a Indian citizen everybody required identification those are migrated from other countries illegally they will not be able to stay here . Not only that if there is any untoward incident happens any fraud or those involved in bad activity police can identify them very easily . Government gives subsidy and help poor people like in various project like Pradhan mantri abasan yojona , kanyashree etc people can get money into their bank account no need to middle man and when Aadhar link with PAN and Bank account Government can verify all the details like income and how many bank account they have , people cannot evade taxes , people earn money why they will pay the tax ? As a Indian citizen everybody should hold Aadhar card and it should be linked from all sector mandatory. every coin has 2 sides. making Aadhar mandatory for filling the income tax return is nothing wrong in that.Because of this govt can trace easily those who are filling taxes and those who not.Making Aadhar mandatory for making Pan and Making Aadhar mandatory for getting the welfares schemes of the govt by dirrect transfering thesubsidaries and various scholarships for the student is a very good decision by the govt and the supreme court.this is in the favour of the public. so for above mentioned subject Aadhar mandatory is good both for people and the govt. 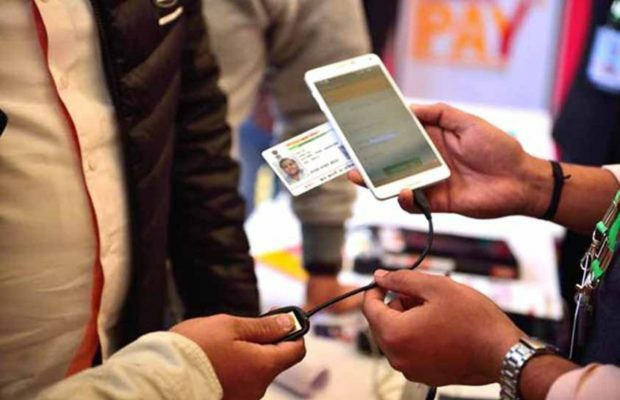 but making Aadhar mandatory for the issuing the new simcards is not good in the favour of peoples.due to which private compsnieds get whole private data of individuals and due to which they can misuse as well.the sc also states that it should not made mandatory for the admissions of the children in schools and various other platforms. finally i would like to conclude that Aadhar should be mandatory for the betterment of tjhe people and the govt.but privatization of aadhar will loss the private dataof individuals.that is not good.